Since 1968, RTO/ERO, Retired Teachers of Ontario, les Enseignant(e)s Retraites de l'Ontario, has been providing programs and services for teachers, school and board administrators, educational support staff, and college and university faculty in retirement. RTO/ERO has over 76,000 members in 48 districts. Provincial website and newsletter "Renaissance"
District 31 members are all over the map! 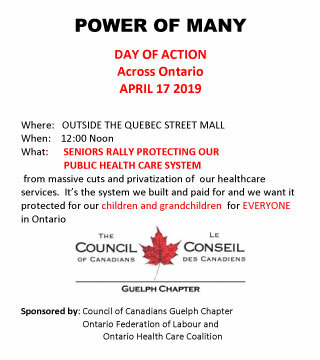 Guelph Fergus Elora Mount Forest Rockwood Erin Cambridge Palmerston Arthur Harriston Belwood Puslinch Kitchener-Waterloo Moorefield Kenilworth Clifford Hillsburgh Windsor Parry Sound London Pelee Island Niagara Falls B.C. Alberta Saskatchewan Nova Scotia Quebec U.S.A U.K. These places need your help! NOTE: This is only available to District 31 members. As a member of the nominating committee for RTO/ERO, District 31, I am extending an invitation to the membership to consider joining the District 31 Executive. It is vital to recruit new people to get involved and bring new ideas and perspectives to the organizational structure. Member involvement builds new relationships and encourages opportunities for even greater member engagement. The executive welcomes members to share their knowledge and expertise and become part of the District Executive. The RTO-ERO Charitable Foundation has been established to improve the lives of senior citizens in Canada by championing research and initiatives that bridge the gap, and deepen knowledge and impact across sectors that serve to enhance the lives of aging Canadians. For a hard copy, phone 1-800-669-9938.